The Vilnius Summit of the Eastern Partnership is over. As expected, Ukraine dominated all official and fringe events. Belarus would have been almost forgotten if not for an interesting initiative by international and Belarusian civil society organisations. As a parallel event to the summit, they put together a creative civic space titled BўROOM. The event hosted a photo exhibition and a civil society fair, a number of discussions and a Belarusian cuisine café. One of the discussions focused on how to break the vicious circle in EU-Belarus relations. The speakers outlined the fundamental problems of the difficult relationship and offered ideas to improve it. Most of the participants in the discussion agreed that the EU needs to look for more entry points to engage Belarusian society at large. 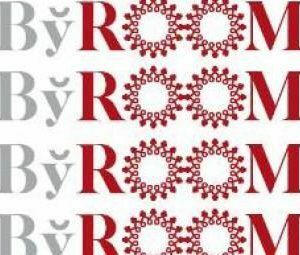 The organisers of the BўROOM – both international donor and civil society organisations – devised it as a creative space for NGO activists and initiatives to present firsthand their work and achievements inside Belarus. They wanted to attract interested attendees of the Vilnius Summit and the Eastern Partnership Reality Check Conference, which ran parallel to the summit, to meet Belarus’ leading national and regional civil society representatives. The BўROOM proved to be a success that helped Belarus to keep its small place on the agenda of the otherwise Ukraine-dominated summit activities. Over one and a half days it received more than 200 guests, both Belarusian and foreign. About 40 organisations and initiatives from Belarus displayed their accomplishments in seven thematic sections: education, culture, environment, grassroots activism, gender, human rights and research. The events of the BўROOM received live coverage from Euroradio and the satellite TV channel Belsat. And the guests of the event had a chance to treat themselves to some dishes of the Belarusian cuisine, such as draniki, salted flitch, herring with boletus, apple cheese and mini-apple pies. Also, the BўROOM hosted two discussions about the state of human rights in Belarus and a roundtable on EU-Belarus relations. The latter was co-organised by the Liberal Club and an independent analyst and activist Kseniya Shvedova and focused on how to break the vicious circle in EU-Belarus relations. Why Does EU’s Policy Towards Belarus Keep Failing? The discussion, which featured some well-known experts, attracted more than 70 people to attend. Andrew Wilson of the European Council on Foreign Relations emphasised that nothing much had changed since two important events: the crackdown on the night of the presidential elections in 2010 and the Russian bailout of Belarus’ economy in 2011. The Russian factor, in his opinion, continues to play the primary role in EU-Belarus relations, as official Minsk uses this relationship to extract more economic benefits and concessions out of the Russians. As long as this remains the reality it is difficult for the EU to make any headway. At the same time Katia Glod, a non-resident fellow of the Academy of Leadership in International Affairs of Chatham House, defined the existing Belarusian economic model as nearly exhausted and assumed that the looming economic troubles would pave a way for change. The opposition will get a chance to enter the political arena and this will automatically create a new state of EU-Belarus relations. Sergey Kizima, an international relations expert from Minsk, argued that the responsibility for the poor state of the relations rests with the EU, which discriminates against Belarus by not permitting it to make its own sovereign geopolitical choices. Kizima also pointed out the double standards in the Union’s foreign policy by drawing parallels between the situations with human rights in Belarus and Azerbaijan. This explanation was challenged by the Head of the OSCE/ODIHR Election Observation Mission to the 2012 Parliamentary Elections in Belarus Antonio Miloshoski. He called the EU’s position on Belarus well-grounded as the authorities in Minsk regularly violate citizens’ rights and freedoms and elections look “more like a theatre”. Yauheni Preiherman of the Liberal Club singled out two major factors why the EU’s Belarus policy keeps failing. Firstly, the Belarusian political reality lacks a strong democratic political actor that could promote European values inside the country. This makes the EU’s enlargement-centred policy of conditionality highly ineffective in Belarus. Secondly, the EU over time consistently swings from sanctions to engagement and back again. It is no surprise then that such short-term approaches fail to deliver any results with the consolidated authoritarian regime in Belarus. Anais Marin, a researcher from the Finnish Institute of International Relations, talked specifically about the European Dialogue on Modernisation. In her opinion, the EU made a mistake when it did not insist on involving Belarusian officials in the dialogue. As a result, it remains non-productive today and reform proposals elaborated within its framework stand little chance of being implemented in the future. And Is There a Chance to Break the Vicious Circle? Antonio Miloshoski argued that the Belarusian government could improve its relations with the EU by reforming its electoral system. A proportional system would allow the opposition to get into parliament, which would improve the internal situation in Belarus and the country’s relations with the EU. Yauheni Preiherman insisted that the EU should accept that quick change in Belarus is simply impossible, no matter what the EU does. Furthermore, qualitative change seems unlikely without a strong political actor promoting the values of freedom and democracy. And such an actor can only appear when society expresses demand for it. Therefore, the EU’s policy should aim at fostering multiple EU-oriented stakeholders through a long-term strategy of engagement and communication with different sectors of society. This recommendation was shared by Anais Marin and director of the Office for a Democratic Belarus Olga Stuzhinskaya. The latter gave an example of educational programmes as a tool that the EU could use more effectively to reach out to Belarusian society. In her opinion, giving scholarships for young Belarusians to study in the EU needs to be accompanied by incentives for them to return back upon completion of their programmes. Project Director of Freedom House Vilnius Vytis Jurkonis expressed a different opinion. He suggested that the EU should adhere to its proclaimed principle of “more for more” with the Belarusian authorities while applying the principle of “more for less” with society at large. Such a mixed approach, in his view, could do more to democratise Belarus than improvements in trade, economy or technical cooperation. Chinese Electrical Outlet, or How Chinese Help Belarusians to Solve Energy Deficit? While all eyes focus on Ukraine deeply stuck at crossroads choosing a proper direction, Eastern and Western donors zealously compete in Belarusian energy sector. In early November, the World Bank offered a $90m loan for the reconstruction of several Belarusian power stations. The loan became a new vivid example of how pro-Western international organisations and truly oriental Chinese credit agencies involve themselves in similar energy projects. World Bank's projects satisfy expectation of both the general public and government organisations involved, meanwhile the feasibility of accepting the Chinese financial support raises a hot debate. Belarusian government receives loans from China in the form of export credits that limit Belarus to purchase only Chinese goods and services. Belarus allowed China to carry out a number of its infrastructure projects, such as rail roads, highways and power plants. Belarus experts hotly debate the feasibility of these projects for Belarus. Belarusian government receives financial support from China in the form of export credits that limit Belarus to purchase only Chinese goods and services, thus, export-credit yuan’s never leave China. Chinese export credits pose only international assistance that Belarus receives with no conditionality for the regime type or necessary administrative reforms. The occurrence of Chinese export credits is an important step for Belarus development since Chinese export agencies provide a new source of capital, especially for much-needed infrastructure investment. Another positive consequence of the Chinese export credits is that a final good remains in Belarus and Belarusians benefit from using it in everyday life. The question remains, however, what are the drawbacks of the Chinese participation in renovation and expansion of the Belarus infrastructure? This article discus some issues that come together with the utilization of the Chinese export credits in the electrical energy sector. This piece belongs to the larger analytical project that tracks numerous infrastructure projects carried out in Belarus with the help of the Chinese financial support. Belarus adopted Chinese power generating turbines in several power stations. The largest Belarusian power plant, located in the town of Lukoml, received a turbine purchased via the Chinese export credits. Minsk Thermal Power Plant 5 (TPP-5) implemented another Chinese-made turbine. During the renovation, the Minsk Thermal Power Plant 2 (TPP-2) two steam turbines, recovery boilers, and a booster compressor station. China National Corporation for Overseas Economic Cooperation (CCOEC), previously called China National Corporation for Building Materials Exportation, became a general supplier of complex equipment for the TPP-2 plant. The reconstruction cost totaled $77m, where $47m came through the Chinese preferential loan from the Export-Import Bank of China. Despite being a cleaner fuel than coal or oil, natural gas also pollutes environment by producing nitrogen oxides and carbon dioxide. The Chinese could not instal already produced equipment in their power plants due to the new energy policy that discourage to build air polluting power plants. Belarusian independent mass media has reported numerous outrages within the projects realised with the Chinese investments. 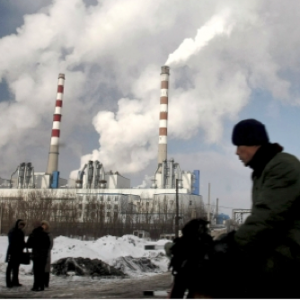 Belarusian power plant renovations that involve the Chinese participation can indeed result in negative ecological consequences. Even though China’s central government promotes protection of the ecology, it is not responsible for any single project. It only creates incentives for Chinese companies to start investment projects in Belarus without being responsible for any single product or service. Belarus not only buys Chinese equipment, but also contracts out Chinese companies to construct on the power plants’ site. An example here became a new power block built in a separate building at Minsk TPP-5. Utilising $340m of the loan, Chinese companies built a second power block with a capacity of 400 MW. The Chinese carried out construction and installation completely on their own. Can the Belarusians build power plants on our own? Do Belarusian engineering and construction companies have enough of the work that they would not mind this job done by the foreign investors? Even though the answer to the both questions remains obvious, Belarus lacks of investment capital to initiate the renovation or construction on its own, and thus, appeals for the foreign financial support. The Belarusian case, however, does not stand out from the rest of the developing countries worldwide. Belarus belongs to a large group of countries who warmly welcomed the Chinese construction companies. The Chinese, using export-credits, sent experienced workforce to the countries with a demand for compatible types of power plants, and where with their investments and people such projects can start off. The Chinese have already completed a number of coal power projects in Indonesia, Thailand, Philippines and Vietnam. In addition to the ecological and employment problems, Belarusians have to bear the consequences of the purchased equipment being idle. During the reconstruction of the TPP-5 Plant, the Chinese also supplied the necessary equipment. A year after launching the second block, the new Chinese gas turbine broke down with an estimated time for the repair of one year. At the beginning of 2013, the Belarusian mass media became overflowed with rumours about the explosion on another block of Minsk TPP-5 Plant. The officials, however, claimed that the block stopped working due to the repair planned and intended to last until mid-March 2013. After the modernization project, Minsk TPP-5 Plant became the fourth power station in the Belarusian energy system. The station, however, remained unproductive for at least six months. In the second half of 2013, neither one of the two blocks of the Minsk TPP-5 Plant are operating or producing energy. This situation resembles the issues experienced by the plants in China. Even though China became a number one country in the capacity of wind power, one fourth of the farms still need connection to the grid. While Chinese companies already satisfy the central government just by meeting capacity goals, Belarus cannot afford paying for new equipment that increases Belarusian electric production capacity only on paper. Minsk's energy system remains energy deficient. Before launching the second energy block, Minsk TPP-5 Plant lacked about 800 MW of generating capacity. The new energy block of 400 MW launched into the system has decreased deficit, but has not resolved the problem. What about the harm caused to the environment? The new gas-fueled blocks in Minsk TPP-5 Plant indeed will compound the issues with air pollution. In the meanwhile, the Chinese managed to give employment for contractors that had to change their specialisation if they were to stayed working in China. They also sold equipment already produced, but impossible to instal or use in Chinese power plants due to the new energy policy in place. And to top it off, they expect to receive from Belarus an annual interest that varies from 2.5% to 5.33% to pay off the loans. The number of Chinese officials benefited from bribes and kickbacks from the tenders and construction remains hard to estimate.